Save by booking your paintball event online! 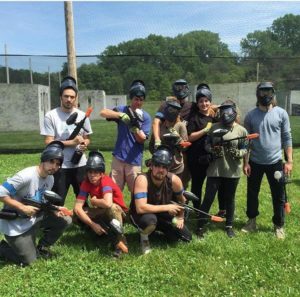 Booking ahead lets you save money, guarantee paintball gear and space for your party! Paintball reservations (minimum two) start as low as $24.95 per paintball player when booked online! Want to just walk and play? No problem, basic packages start at $34.95 per player when you walk-in (door price)! 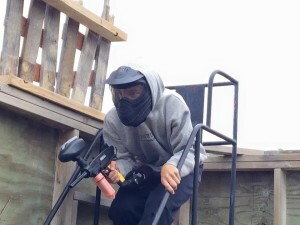 Admission, rental paintball gun setup (marker, tank and loader), protective mask and 100 paintballs per person! *Note: Players may upgrade gun and gear at the door; players may also purchase more ammo and continue to play. Want to play with just your group? No problem! Our private option allows groups/ parties to play each other exclusively. You and your group are able to play on separate fields than general admission groups. This is a great option for team building events, school functions, bachelor parties and even birthday parties. Admission for up to 10 players, rental equipment (protective mask and rental paintball gun), private field rotation and 100 paintballs per player! 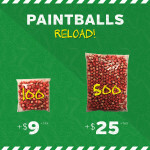 Additional paintballs available day of! Must prepay at time of booking. 2 hour time limit. Additional guests (after 10) may join at $24.95 at the door. Reservations must be made 48 hours in advance of desired play time. *If you don’t see the time you are looking for please give us a call at (952) 492-6776! If you do not choose the private field option, your group may be mixed in with other players based on age and or skill level (Example: a birthday party will never play against a bachelor party). We think playing against more people is more fun but if you wish to choose the private option you may select to do so when booking a reservation online. Be the top shot! 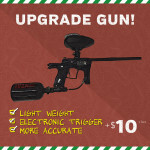 Upgrade your paintball marker when you check in! This electronic paintball gun is lightweight and more accurate. This upgrade is perfect for bachelor/ bachelorette parties and team building events! Go commando! Upgrade your paintball experience with this package! 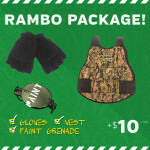 Combo includes a tactical vest, combat gloves and a paint grenade! Awesome for birthday parties, bachelor / bachelorette parties and family events! Provide support! 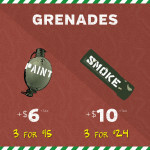 Eliminate players with paint grenades or generate a fog screen with smoke grenades! Great option to create chaos for birthday parties and Bachelor parties! Keep playing for as long as you would like! That’s right, there is no time limit with any package players choose. Extra paintballs are sold separately in 100 or 500 round counts. Ammo up with 100 rounds or get more BANG for your buck and share a bag of 500 rounds! Looking for a paintball deal? Have a special occasion coming up? Let us make it more memorable for you and your party! Check out our paintball specials before you book! Ready to schedule your party? Still have questions? Give us a call at 952-492-6776 for more information.